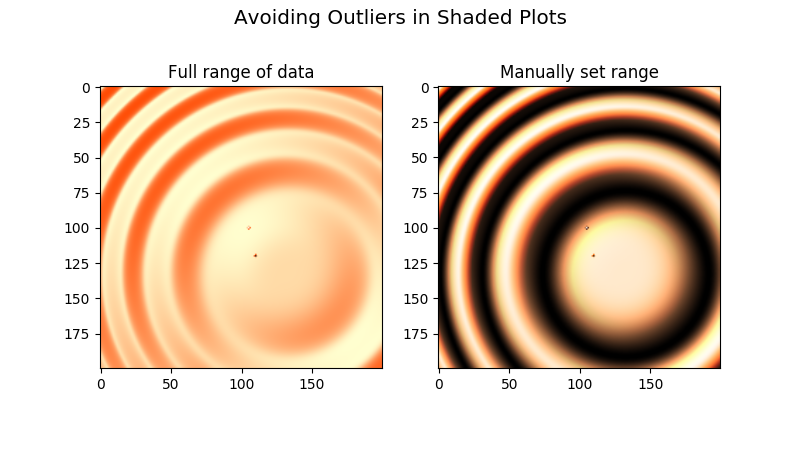 Demonstrates a few common tricks with shaded plots. 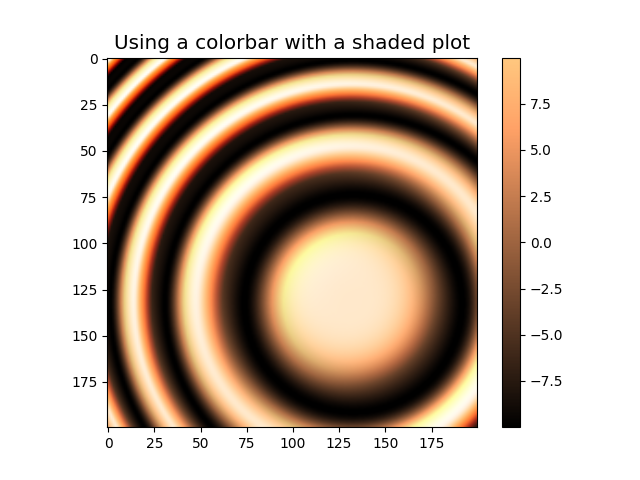 """Display a correct numeric colorbar for a shaded plot.""" 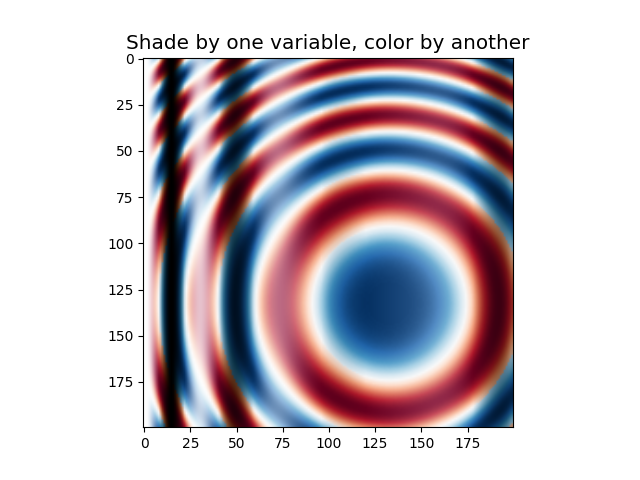 """Use a custom norm to control the displayed z-range of a shaded plot.""" """Demonstrates displaying different variables through shade and color."""